Would you like to work in a gallery? 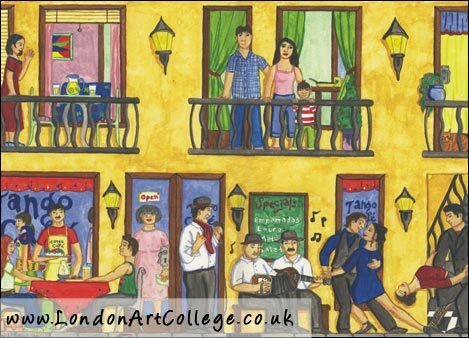 love to explore art & design abroad? like to learn about event organisation? enjoy working in a young, motivated team? concerns exhibitions, art projects and events around art. We are searching for new a trainee designer who will be a full member of the team and participate in all tasks within the gallery. The internship offers you an insight in the world of art and galleries and the role of a graphic designer within them. There will be time to develop your own projects within the gallery besides the daily tasks. The main tasks are: designing printed flyers and invitations, web invitations, posters, exhibition catalogues, updating website, creating vinyl titles for exhibitions, designing advertisements for magazines and other publications, preparing presentations to show clients design proposals (hotels, bars, private properties) and a diverse range of other projects from logos to signage. • studying or has completed a course in graphic design, interior design, or design decoration. • creative and appreciates art, especially Contemporary Art. enforces the directors with the gained knowledge during the studies. • able to fulfil the tasks mentioned above. • fluent in English, speaks German, and has knowledge of Spanish. • familiar with the computer programs: Photoshop, Illustrator/Freehand, InDesign, Microsoft Office. • has at least one experience of studying/working abroad. We have been alerted of a new competition by Waterstones and you can read more and enter at the link below. An exerpt about the competition is below. If you enter let us know and we will post your artwork! 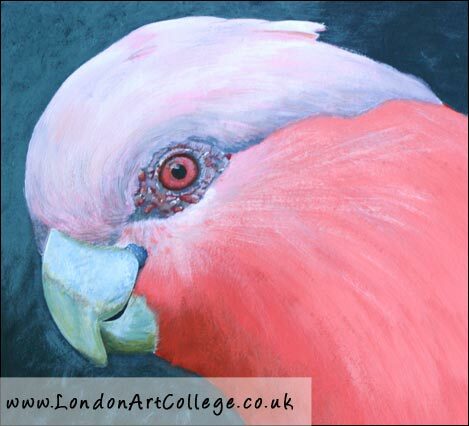 The following paintings have been completed by a student who is currently on the Pet Portrait Course. Although the course mainly deals with pets, students can portray any animal they wish when they are completing the assignments. Students paint and draw a large variety of animals from Geckos to Tigers to baby Rabbits. The pieces below are painted in Acrylic on board to the size of approximately A3. 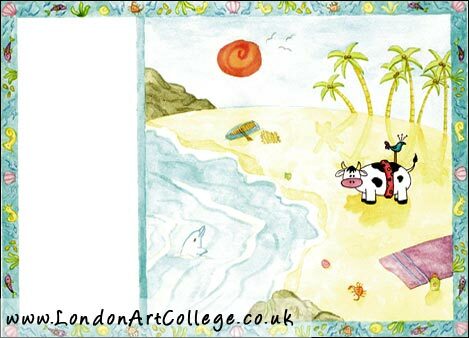 We have a student called Lara Jordan Currently taking the Children’s illustration course. 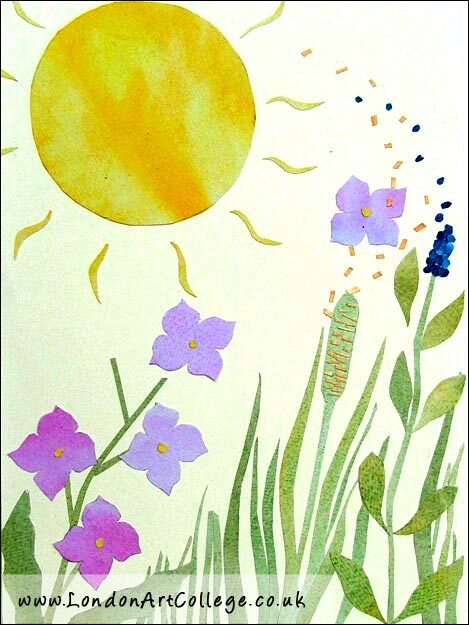 She has already taken her Botanical illustration course and woudl like to pursue a career in art. Lara has written a paragraph below which is accompanied with some of her artwork. 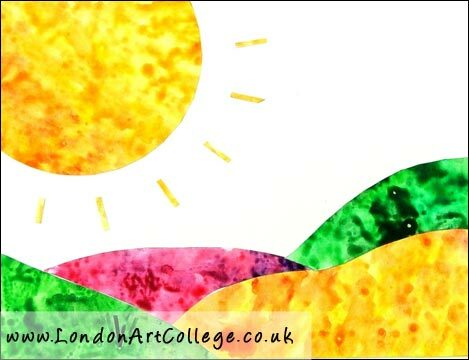 This is a wonderful piece of collage artwork from a student on the Graphic Design course. Its definitely one to cheer you up on a dull morning. 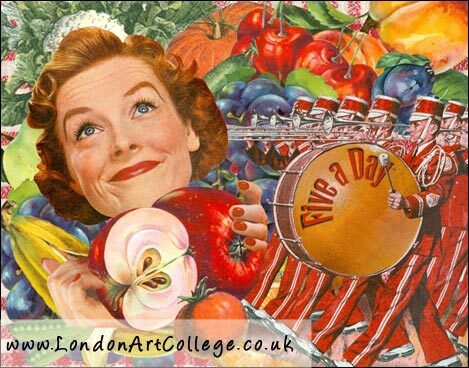 The colours are wonderful and it certainly makes me want to eat my 5 a day….! 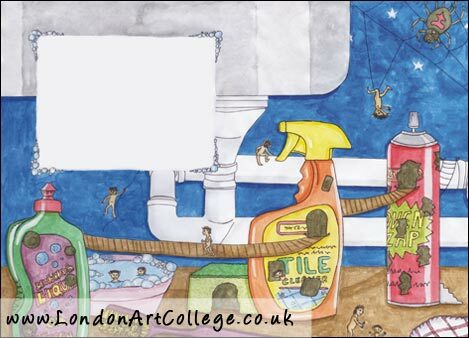 Anel Mare – Childrens Illlustration Students News! 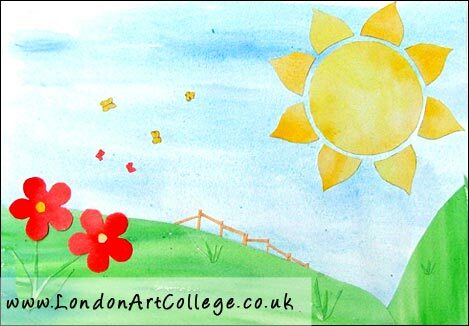 Anel Mare has been studying on the Children’s Illustration course and has completed the course with Distinctions. 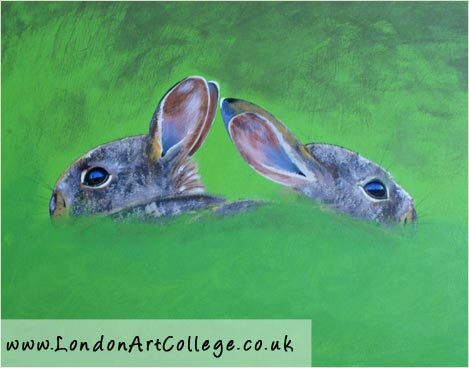 She has given the London Art College some very good news in that she is going to have one of her books published for the very first time. 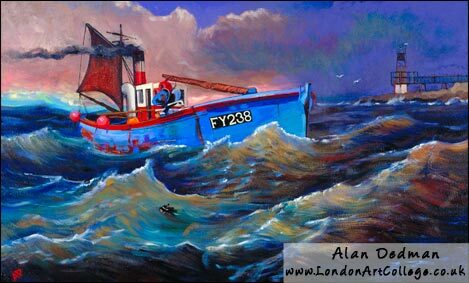 We have added a few examples of Anels work below. 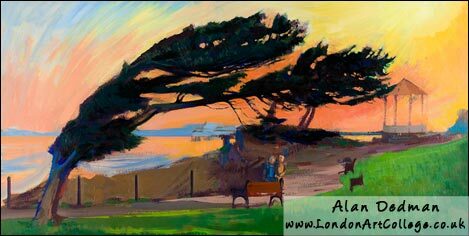 We have a new tutor for the London Art College Landscape and the Travel Sketchbook courses. Alan Dedman who tutors are few of our other courses had taken over from Linda who is retiring.